You can use the hard drive in a Time Capsule as a network storage device if you decide to stop using the router capabilities. 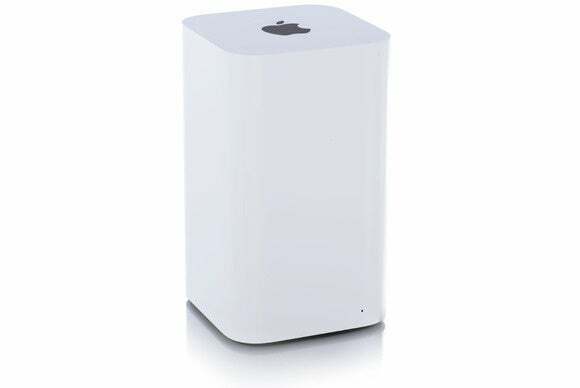 Bjarne Larsen can no longer use his Time Capsule because of a work-required router on his home network that blocks Time Capsule over Wi-Fi. He’d like to turn it into a networked drive via ethernet instead. However, even though he’s using a Thunderbolt-to-ethernet adapter plugged into one of the Time Capsule’s LAN ports, he can’t get it to show up, and wonders why. The reason is that the Time Capsule has to have a network address in order to work on a network. If it’s not connected via its WAN (wide-area network) ethernet port or extending an existing Wi-Fi network, it can’t receive an automatically assigned network address via DHCP (usually also coupled with NAT). As a result, the base station gives reverts to a “self-assigned” IP address in the range 169.254.x.x. 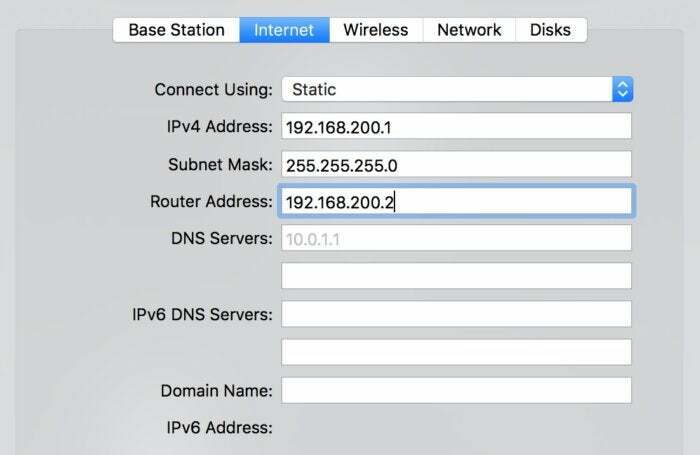 You can fix this by giving a static private address to the Time Capsule and another static private address on the same network to the ethernet adapter you connect to it. Instead of using a LAN port, where your ethernet adapter would receive an address over DHCP, you connect via the WAN port. Plug your ethernet cable between the LAN port and your Mac. Launch AirPort Utility on your Mac. Select the Time Capsule and click Edit. Set a static address on your Time Capsule to make it reachable from your Mac. In the Wireless tab, choose Off from the Network Mode popup menu. In the Network tab, select DHCP and NAT from the Router Mode popup menu. In the Disks tab, check the Share Disks over WAN box. Click Update and wait for the Time Capsule to reboot. Switch the cable from a Time Capsule LAN port to its WAN port. Now on your Mac, open the Network system preference pane. If the lock at lower left is in the closed position, click it and enter your administrative password. Select your Thunderbolt (or other) ethernet adapter in the list of adapters at left. Now you should be able to mount your Time Capsule drive in the Finder just like any networked drive.